Edmund (Paul) Stanley was born in Sydney in 1878, the son of Edmund Paul Stanley and his wife Marian Agnes, nee Tooher. In 1897 he married Adeline Elizabeth (b.1879), the daughter of John and Catherine Quinn, and had a son and two daughters: Elsie Marion, Leonard Austin and Eileen Edna. Edmund Stanley died in 1947, and was buried alongside his father Edmund Paul Stanley (Snr) (1852-1934) at Woronora Cemetery in Sutherland. His cousin was Millicent Preston Stanley Vaughan (1883-1955), the first woman elected to NSW parliament in 1925. 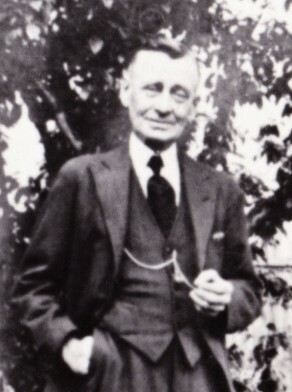 Edmund Stanley was secretary of the Camperdown Political Labor League (PLL) and President of the Factory Employees Union. Edmund Paul Stanley served as Alderman for Camperdown Ward, 1 December 1909 until 8 March 1910 when he was ousted by the Supreme Court. Information on Edmund Paul Stanley courtesy Martine Russell.